Vivo has launched a flagship smartphone in India for the first time. Yes, we’re speaking about the Vivo Nex smartphone itself. Vivo has been teasing the handset’s launch in India for a while now and it now been made official in the country. The Vivo Nex was first showcased as a concept smartphone at MWC 2018; Later on, it was launched in China, and now, it has reached the Indian shores. The Vivo Nex, in India, will be exclusive to Amazon and comes at a price of Rs 44,990. In China, Vivo launched two variants of the Vivo Nex- one with the flagship Snapdragon 845 SoC, in-display fingerprint scanner and the other one with Snapdragon 710 SoC and a rear-mounted fingerprint scanner. But in the case of India, only the high-end variant has been introduced. Also, Vivo stated the Nex is a Made in India product, which is an interesting aspect. 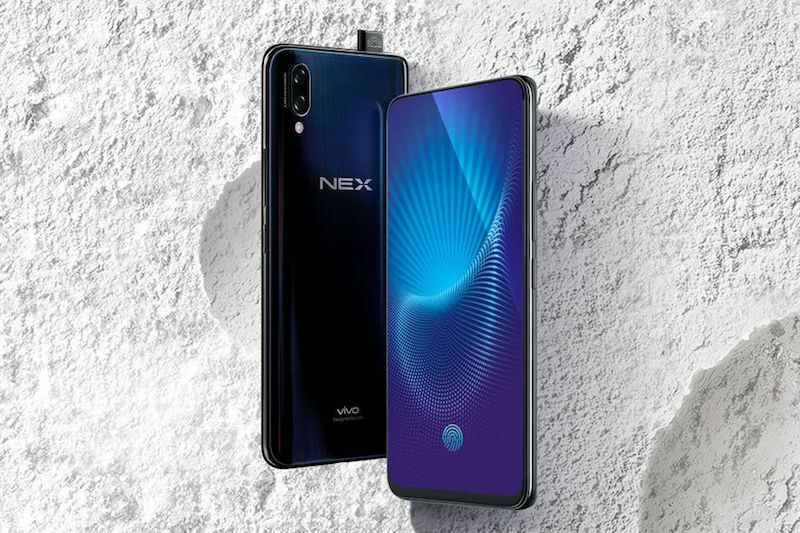 As for the specifications of the smartphone, the Vivo Nex boasts a large 6.59-inch Full HD+ Super AMOLED display with a resolution of 1080×2316 pixels and 19.3:9 aspect ratio. The USP of the Vivo Nex is its design. Vivo has managed to remove the entire portion above the display by hiding the sensors and adding a pop-up front-facing camera. 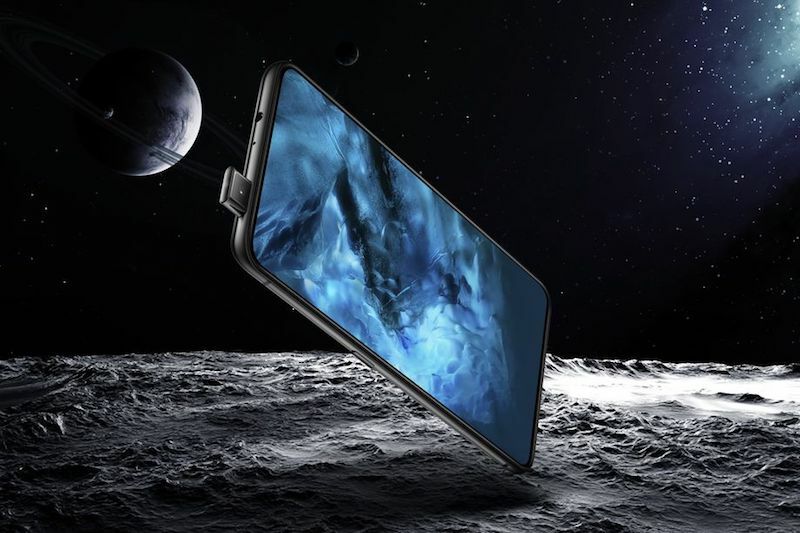 Thanks to these breakthroughs, Vivo has achieved over 91% screen-to-body ratio on the Vivo Nex smartphone. The Vivo Nex is the second smartphone in India to offer an in-display fingerprint scanner with the first one being the same company’s Vivo X21. Talking about the hardware, the Vivo Nex is powered by the Qualcomm Snapdragon 845 chipset, coupled with 8GB of RAM and 128GB of internal storage. 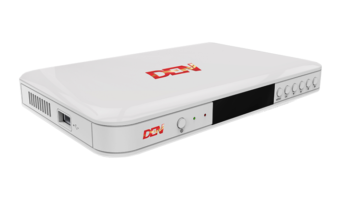 Notably, the Nex comes with a dedicated AI button for launching Jovi Assistant, which is the company’s own AI-based assistant. Furthermore, the phone also comes with various AI capabilities and AI scene recognition mode for enhancing the photography experience. Cameras on the smartphone include a primary 12MP Sony IMX363 sensor on the rear with dual-pixel technology, f/1.8 aperture, 4-axis Optical Image Stabilisation and P3 colour gamut. The 12MP sensor works in tandem with a 5MP depth sensor which adds bokeh effect to the images. The pop-up camera module has an 8MP sensor included inside it. The smartphone boots Android 8.1 Oreo out of the box. 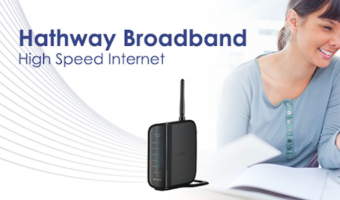 As for connectivity options, the Vivo Nex offers 4G LTE, VoLTE, Wi-Fi 802.11 b/g/n, Bluetooth, GPS and USB Type-C port. This entire package is armed with a 4000mAh battery with fast charging support. Even though the device has a pop-up camera module, Vivo has done an excellent job in keeping the device slim at 7.98mm. The Vivo Nex has been priced aggressively at Rs 44,990 and at that price, it gives the OnePlus 6 a run for its money. The Vivo Nex can be picked up from Amazon India and Vivo Store starting July 21. Other thsn battery capacity, Samsung S8+, Note 8 and S9+ are far more better than vivo nex s because vivo.nexS does not have memory card slot and autofocus for front camera. Crap vivo. Dude you will be blown out with the picture quality of nex. NEX is the future. An incredible device with equally incredible features. Next time when a new device is launched first put your hands on it, use it, see it for yourself nd then be a judge. The camera quality of nex is comparable to flagship models available in the market. This time vivo has done some magical stuff with its camera. LoL even X21 UD is a match for the OnePlus 6 in camera department.